The towering Frazer Clarke is a retired heavyweight British boxer who has competed at world-class level. Hailing from Burton-on-Trent, Clarke originally trained with the famous Burton Amateur Boxing Club and went on to triumph in the super heavyweight division at the Rio 2016 test event. 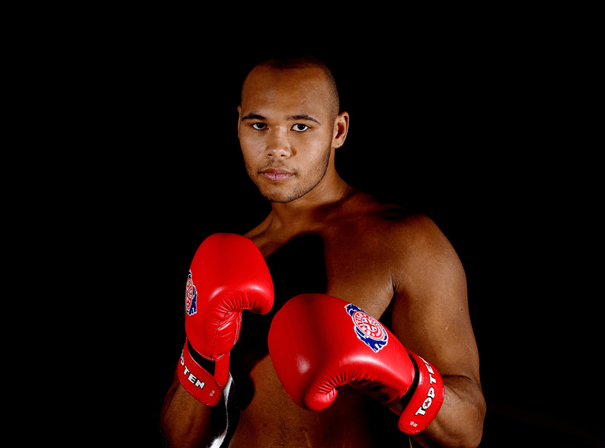 Despite not reaching Olympic level, Clarke did make the British Lionheart’s squad for their maiden World Series of Boxing final. This hard-fought competition is a highly regarded one, and it saw the Lionhearts take on the Cuba Domadores in the WSB final – Frazer won his match against Lenier Pero, thereby denying the Domadores what would have otherwise been a 10–0 whitewash. The boxer swiftly moved on to further success by finishing with a silver medal in the European Championships of 2017, despite picking up a tear to his hamstring along the way. Once again battling back into contention, in 2018 he claimed a gold medal by judge’s decision in the Commonwealth Games super heavyweight final. Also working as security at high profile boxing events featuring the likes of World Heavyweight Champion Anthony Joshua, Frazer Clarke remains popular within the team and a skilled boxer with a wealth of experience.